As part of the workshops the research team and I have been offering on plagiarism, we give participants a copy of this handout, with 25 strategies on how to prevent plagiarism in their classes. We talk about some of these strategies during the workshops. Participants report that they do not know how to prevent plagiarism. Sometimes, participants tell us that it has never occurred to them that they could incorporate prevention strategies into their teaching practice, but instead, they have only thought about — and struggled with — how to address plagiarism after it has occurred. In the workshops, we talk about how instructors can implement plagiarism prevention strategies in their own courses. The discussion becomes more productive and more positive when we focus on what we can do to help students cultivate their understanding of academic and research integrity, as part of developing their reputation as emerging professionals. Workshop participants report back that they have appreciated having these strategies on a single-page handout. So, I am sharing the handout here with you, so you can use it, too. The audience for our workshops is instructors in higher education institutions, but many of the strategies can be adapted for K-12 and other contexts, too. Today my research assistants, Jenny and Ian, collaborated with me to facilitate a workshop to faculty members and grad students in the Werklund School of Education, University of Calgary, on plagiarism. This workshop is part of the knowledge sharing and mobilization for a research project on plagiarism in our school of education. Here’s a photo of the group discussing their experiences with plagiarism in their professional practice in higher education contexts. Then, we talked about the reasons why students plagiarize, as informed by the research literature, and compared participants’ responses to what is evident in the literature. There were numerous parallels between participants’ experiences and what we found in the literature. Finally, we shared strategies about how to prevent plagiarism and also how to address it if you encounter it in a student’s work. Today I co-presented a workshop on plagiarism for exchange students from Hokkaido University of Education who are at the University of Calgary for a one-month stay to improve their English language skills. My co-presenter was Benedict “Kojo” Otoo, a graduate research assistant working with me on the academic integrity research project. This report explores the notion of signature pedagogies within the field of e-learning for higher education. We build on previous work that examined signature pedagogies in education, linking the concepts of signature pedagogies, the profession of education and e-learning as a means to help educators develop their practice and understanding of the profession. In November 2016, approximately thirty scholars, practitioners, industry leaders and government officials assembled at The White House for the “Technology in English” event, which was a collaborative effort between The White House Office of Global Engagement and the U.S. Department of State, Bureau of Educational and Cultural Affairs, Office of English Language Programs. The event was part of the inter-agency English for All initiative, announced by President Obama earlier in 2016 (United States Department of State, 2016). The purpose of the event was to gather together individuals with combined expertise in educational technology and English language learning and teaching. Sarah Elaine Eaton, one of the authors of this report, was among those invited to take part in The White House event. 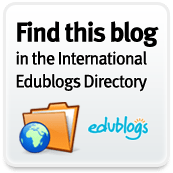 One outcome of the meeting was a commitment to develop a prototype or resource that would serve as an Open Educational Resource (OER), not only for participants of programs sponsored by the U.S Department of State, and educators generally. The project is to be presented at the TESOL 2017 International Convention and English Language Expo in Seattle, Washington State. In addition, experts were invited to develop and contribute additional resources that would benefit educators in their professional development. This report was prepared as an additional Open Educational Resource for use by those interested in developing their knowledge of signature pedagogies for e-learning in education. You are currently browsing the Learning, Teaching and Leadership blog archives for March, 2017.